MUMBAI (Reuters) – China’s Xiaomi said it wants its global smartphone component makers to set up base in India, in what is likely to bring as much as $2.5 billion of investment to the South Asian nation while also creating up to 50,000 jobs. Xiaomi’s push could boost Prime Minister’s Narendra Modi’s flagship ‘Make in India’ drive that is aimed at adding tens of millions of new jobs and turning Asia’s No.3 economy into a global manufacturing hub. Xiaomi, which looks headed for a big initial public offering later this year, currently has six smartphone manufacturing plants in India. It hosted more than 50 of its global suppliers in New Delhi at an investment summit on Monday that was also attended by key government officials. If the suppliers at the summit were to set up shop in India, a top market for Xiaomi, it would bring in $2.5 billion in investment and create as many as 50,000 jobs, the company said. The Chinese firm has unseated Korean rival Samsung Electronics to take the pole position in India’s smartphone market – the world’s second biggest. Xiaomi, which began assembling smartphones through Foxconn in southern India in 2015, will now assemble parts like memory and processors on printed circuit boards locally, said Manu Jain, managing director of Xiaomi’s India operations. “Today we are deepening this commitment with three more smartphone factories and our first surface-mount technology (SMT) plant dedicated towards local manufacturing,” Jain said in a statement. 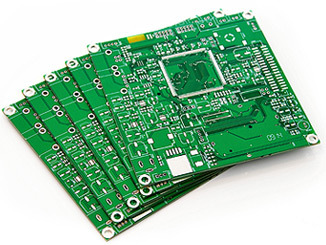 SMT is a method by which components are embedded onto printed circuit boards (PCBs). Once populated with components, PCBs that house memory, chips and other components, typically account for about half the cost of a smartphone. This announcement comes a week after New Delhi levied a 10 percent import duty on some key smartphone components, including populated PCBs. The South Asian nation is Xiaomi’s second-largest market after China. Xiaomi’s SMT plant will be run by Taiwan’s Foxconn, the world’s largest contract electronics manufacturer and a key Apple supplier. However, Xiaomi’s push to get suppliers to India could spark job loss concerns in neighboring China that is currently among the top electronics manufacturers in the world. “India’s cheap labor offers more competitiveness to manufacturers, demand is vast and in India opportunity is also huge because the market is much less saturated compared to China,” said Jaipal Singh, a senior market analyst for client devices at tech research firm International Data Corporation.